Win the parking lottery with Spottery. 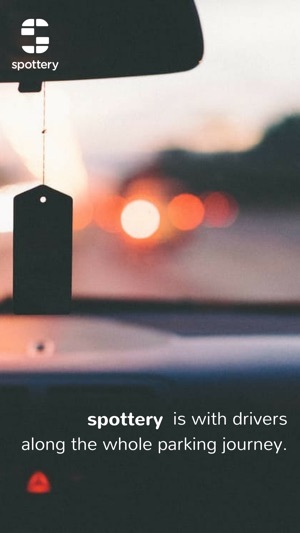 Spottery is the number one parking app to spot and pay for your next parking space easily with just one smooth swipe. You pay for what you use, with the payment method you prefer. You pay for the time you park and our service costs only 0,59 €/parking, 6,99 €/month or 60 €/year. Paying for your parking space by using your mobile phone has become the new standard. You will be able to find, reserve, access and pay for your parking space. All you need in one app. Stay tuned! Tell us where you're going, we tell you where the spaces are, their restrictions, availability and cost. Whenever possible, we let you reserve the space, for 100% guarantee it's going to be there for you. We drive you there, let you through the gates or barriers, and take you out. Bye, bye queues. Spottery is with drivers along the full parking journey. 2. Add as many vehicle license plate numbers as you wish. 3. Add a payment card. 4. Spot where you want to park and choose how long you are staying. 5. Swipe to start parking. 6. 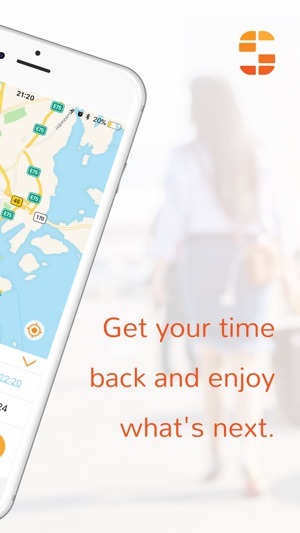 Swipe to stop parking, or wait for your parking time to expire. You can also extend your parking time by starting a new event. 7. Thats it! Your payment card will be charged at the end of the month for the exact time you parked, plus usage fees. Applications can take a large proportion of phone's memory. Spottery has been designed to optimize space on your phone. The app size is less than 15MB, making it the most compact available in Finland. 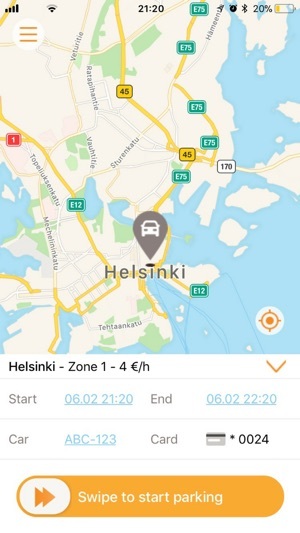 We launched our service in Helsinki, and the other major cities and parking operators in Finland will join our parking community soon. The Spottery application is developed by Witrafi Oy, a Helsinki based company dedicated to optimizing space in our cities. 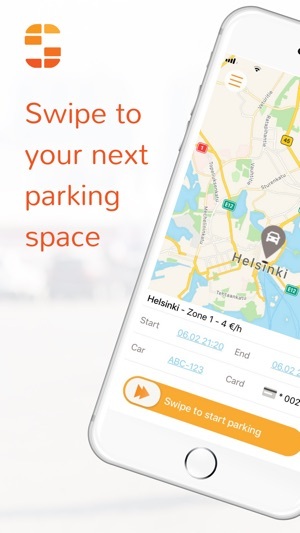 Other services developed by Witrafi are peer-to-peer parking rental service Rent-a-Park (www.rentapark.fi) and Magee (magee.witrafi.com), a personal parking device which also serves as a parking disc.